We are seeking an experienced, energetic, manager to oversee the day to day operations of the Operating Room. Our ideal candidate will possess exceptional nursing processes, excellent communication, and successful leadership skills and will serve as a role model for professional nursing practice. Our ideal candidate should be able to work well under pressure and possess excellent problem solving skills and self motivation. 1. Clinical Nursing Practice - Promotes an environment that values diversity, open communication, teamwork, and exceptional service. Knowledgeable in clinical areas of supervision: Orthopedics (Total Joints and Spine), Neurosurgery, Ophthalmology, General, Gynecology, Urology, and Robotics. 2. Operational and Fiscal Management - Establishes and promotes standards of excellent for areas of responsibility and ensures consistent implementation by staff. Provides input about trends related to program development, space needs and fiscal realities. Ensures appropriate and adequate clinical staffing and skill mix to meet patient care needs. Responsible for maintaining the department budget. Responsible for meeting department and organizational metrics. Responsible for capital planning based on unit needs. 3.HR Management - Creates and promotes an environment conducive to recruiting and retaining staff. Assists in hiring, promoting, transferring, and terminating staff. Provides staff with performance feedback and opportunity to set professional goals. Conducts staff annual evaluations. 4. Research and Performance Improvement - Evaluates research that is applicable to practice and promote changes in standards of care as appropriate. Guides research and development offerings. 5.Educational and Professional Development - Coordinates, designs and implements educational programs to meet identified competency, inservice and staff development offerings. The nurse manager demonstrates expertise in caring for surgical patients with multiple and complex problems. 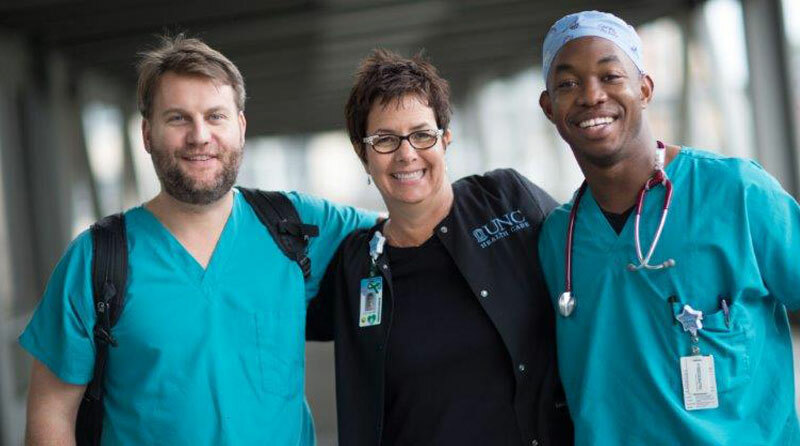 In addition to demonstrating clinical leadership on the unit, the nurse manager serves as a resource and hospital-wide consultant to staff and participates in endeavors to increase nursing knowledge. Position to start July 2019. The UNC Medical Center at Hillsborough Campus OR will operate Monday-Friday from 7am - 7:30pm with staff on-call rotation for nights, weekends and holidays. Patient population for this facility begins at 5 months old and greater. We desire a minimum of 5 years Operating Room experience (circulating and scrubbing) and 1 year supervisor/management experience. Experience in the following areas are necessary; General/GYN/Urology/Robotics; Opthamology and Orthopedics (Total joint/spine). Bachelor's degree in Nursing (BSN) from a state-accredited school of professional nursing. Licensed to practice as a Registered Nurse in the state of North Carolina. Two (2) years of professional nursing experience in a tertiary care setting, and one (1) year of experience in the area assigned. Specialty or leadership certification required.